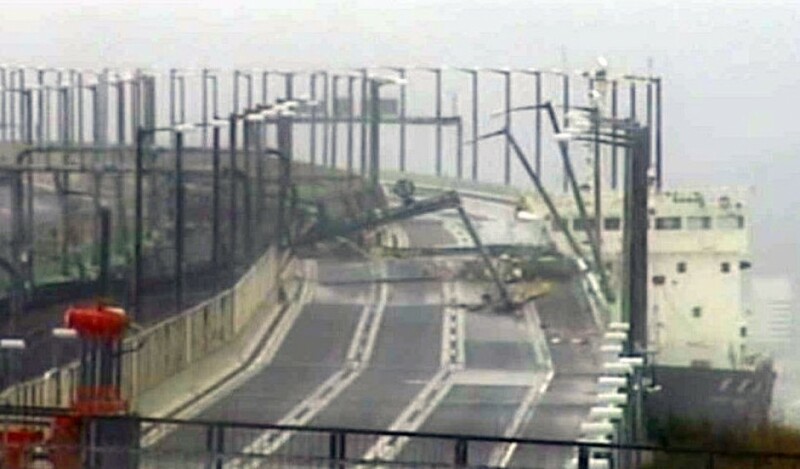 A tanker smashed into the bridge linking Kansai International Airport with the mainland and left around 5,000 people stranded on Tuesday as strong winds and high waves from a powerful typhoon blasted western Japan. The airport, which sits on a manmade island in Osaka Bay, has been flooded and closed since the afternoon. It will not resume operation at least until Wednesday evening, according to airline officials. The damage to one of the biggest airports in Japan -- mainly used by visitors to cities in the Kansai area such as Kyoto, Osaka and Kobe -- could affect the country's tourism boom. 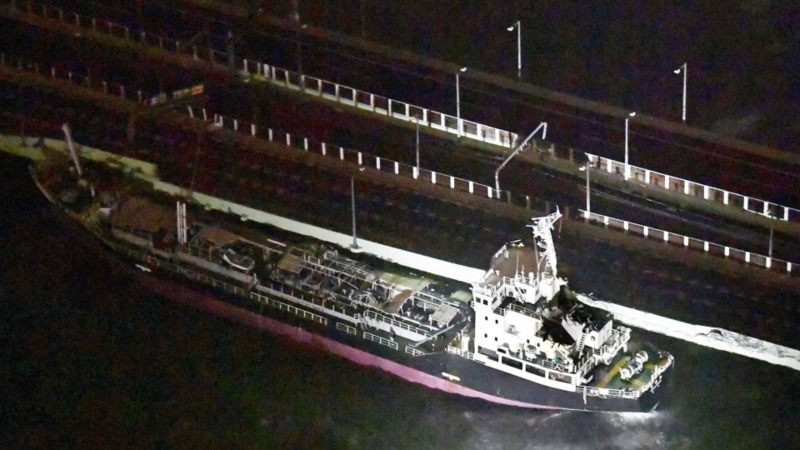 The 2,591-ton Houn Maru, which had been anchored in the bay, was swept toward the approximately 3,700-meter-long bridge around 1 p.m., damaging the sole gateway by land to the airport. Those stranded at the airport will likely be transported to the mainland using lanes not affected by the collision, the airport operator said. Train services using the same bridge have been also suspended. None of the ship's 11 crew members were injured in the incident. The local coast guard dispatched a helicopter to rescue them. The transport ministry said the airport closed all of its runways at noon and shut down the entire facility from 3 p.m. due to flooding. The airport's runway and the basement floor of a terminal building have been flooded, according to airport officials. Tuesday was the 24th anniversary of the opening of the airport, built on an artificial island, in 1994. It is now the third busiest airport in Japan. In fiscal 2017 through March, the number of passengers, both domestic and international, hit 28.80 million, the highest since its opening, according to data released by the operator. Dozens of salvage barges were also swept away at Kobe-Osaka port after their ropes snapped due to the strong winds. While some people remain onboard, there has been no report of injuries, according to the coast guard.